Hello everyone, I am Abhijeet kumar and I am a MBBS final year student at IPGMER and SSKM Hospital, and I belong to very average earning and middle class family with my mother being only earning member and even she is on a No-Pay leave for my father. 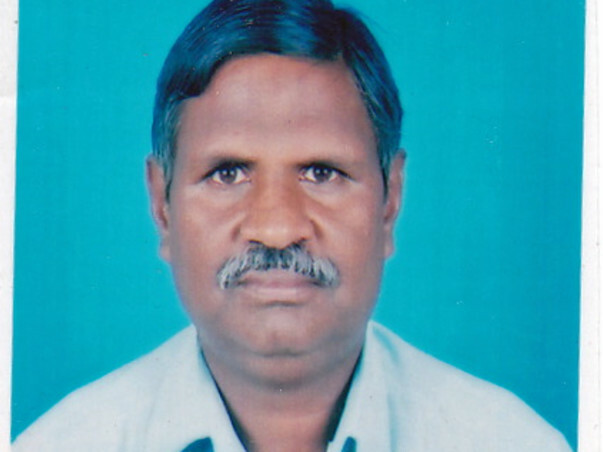 My father is suffering from Liver cirrhosis due to non alcoholic fatty liver disease and it progressed over last 3 years to such an extent that we needed a transplant. We tried to get the best opinion over it but everyone referred me to consult for a liver transplant. It costs not less than 30 lakhs after compraising all expenses at standard centers in India and I, as I have already said, am unable to handle such a devastating expense in this situation. Well, being frankly about my fund raising, each and every buck I will collect will go directly to hospital for his liver transplantation surgery, and also in his pre transplant evaluation and checkups. Also, we had to be in closed vicinity of the transplant centre so that we can see doctors according to their calls or whenever needed after operation, and some part of your kind contribution will also be used for it. Post transplant medicines are antirejection medicines given to prevent the rejection, their prices are to high in initial 1-1.5 years (about 25-35 thousand a month, as told by my physician) . Since it is a very complicated surgery so it may give rise to some unwanted complications, and doctor has told me to keep 2-3 lakhs in reserve for any such situation. WHY THIS TRANSPLANT WAS NEEDED? 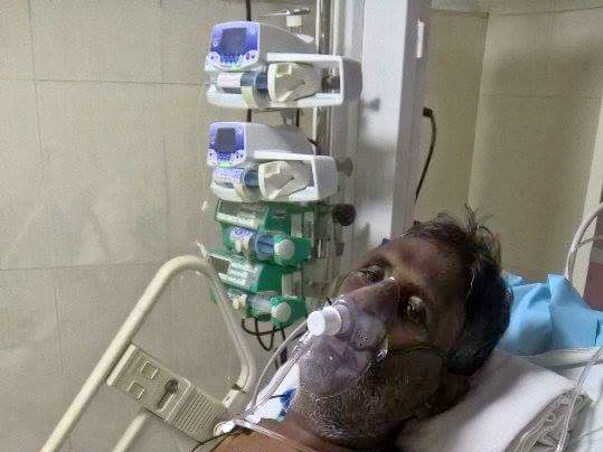 MY father was suffering from a chronic liver disease, diagnosed first 2015 march, which gradually got decompensated and condition worsened over period of time, we tried our level best to control it through medicines but ultimately a liver failure occured and pushed us to see for a transplant. IS THIS A LIVING DONOR OR A DECEASED DONOR? It is a deceased donor transplant. As we dont have any matched blood group in my family so we have no opther option left, though some centres do a mismatched donor transplant but that would cost us even more and we are not able to pay for the same. WHAT IS THE ACTUAL COST OF OPERATION AND WHERE YOU ARE PLANNING TO CARRY OUT THE TRANSPLANT? Its cost is extremely variable and dependent on individual centres, though the real expense of operation is about 25 lakhs ($30,000) in most economical centres, it can go upto 35-38 lakhs ($ 40-50,000) if some extra medical intervention could be needed. Hospital of choice is also not in our hands, we have to get him listed at few centres who carry out cadaveric transplants in India and then shall wait which hospital would call first, till now we have these hospitals in our list- Global hospitals, Apollo chennai, kokilaben dhirubhai ambani hospital mumbai, amrita institute of medical sciences kochi, continental hospital hyderabad, yashoda hospital hyderabad. Not at all! Liver diseases are most of times caused by alcohol but not always. There are other causes like Hepatitis B, Hepatitis C, Metabolic syndromes, cryptogenic (with NO CAUSE KNOWN!). He never took alcohol and never smoked. We are also vegetarians and still he suffered, it was just our poor fortune that we got this rare disease at this moment of time with so much financial scarcity. WHAT OTHER ATTEMPTS YOU ARE MAKING FOR FUNDS? We are trying to get some from our college and till now a little amount ( approx 1 lakh) has been collected, we are also spreading it to facebook through links and personal messeges. ITS VERY SIMPLE! You can either visit our page - "Help Abhijeet Kumar for his father " on facebook and donate via that page, directly to us! Or you can donate through this fundraising campaign as well.. If you are in Kolkata just call me at +91 8902270511, whatsapp me at +91 9903077195 or email me at help.abhijeet.kolkata@gmail.com and I or my friends will personally collect the amount directly from you. This is Abhijeet kumar here. Thank you so much for your contribution. It's the hardest time for us. My father is in the ICU and we are very much worried about his health. But hope we will win and come out of this condition. Doctors said that he is improving but for now, transplant has been postponed. Please keep him in your prayers and thoughts. We need contributions as well for his treatment. Please share in your network and help us to achieve our target. Please help us and pray for him. Thank you so much for your kind support. Much appreciate the support. Still I am in trouble, going to Amrita institute of medical sciences for pre transplant checkups and listing.. I don't know what will happen next but this little thing I can think that we will win this fight. We are surely going to win this fight. Friends, life is very uncertain, I can just remember the happiness of my 3rd year MBBS results previous year in last week of February, and see, I have cleared my final year and I am fighting for my papa. My family is a nuclear one, my papa did everything possible to educate me, even by cutting the basic needs of family.. He used to cook food for me, he used to leave me to school. He was just an ideal father, being his son, I am feeling lucky. I just want to live with him for some more years, or decades, but financially I am so constrained that I am unable to pay for his expenses. Please help.